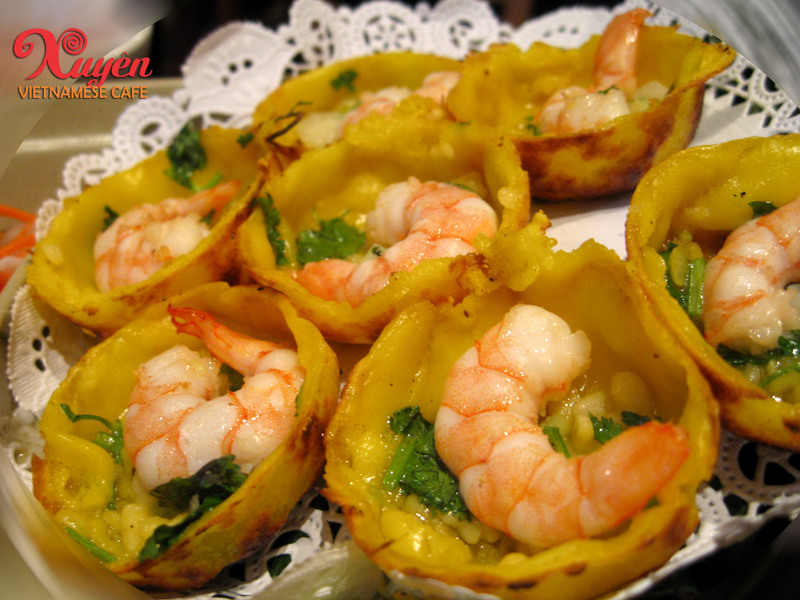 Banh Khot is dainty variation of a Vietnamese pancake has all the same tasty ingredients but is a fraction of the size. Each banh knot can be scoffed in one ambitious but satisfying mouthful. 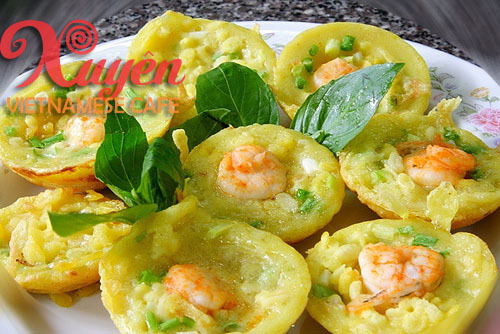 The crunchy outside is made using coconut milk and the filling usually consists of shrimp, mung beans, and spring onions with a dusting of dried shrimp flakes on top.